Cambridge United have agreed terms to sign former Republic of Ireland Under-19 midfielder Gearoid Morrissey from Cork City on Saturday, 3 January. 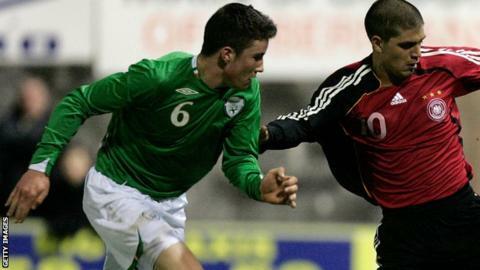 The 23-year-old started his career in the Blackburn Rovers academy before joining his hometown League of Ireland club in 2010. He was out of contract having agreed a new deal with Cork late last year, and has signed undisclosed terms. "He is a really talented footballer," said U's chief executive Jez George. George told the club website: "We've tracked him for over 12 months and have watched him on several occasions. "There has been some issues to resolve with Cork City which have delayed this announcement, but we are now extremely happy to have completed the signing."